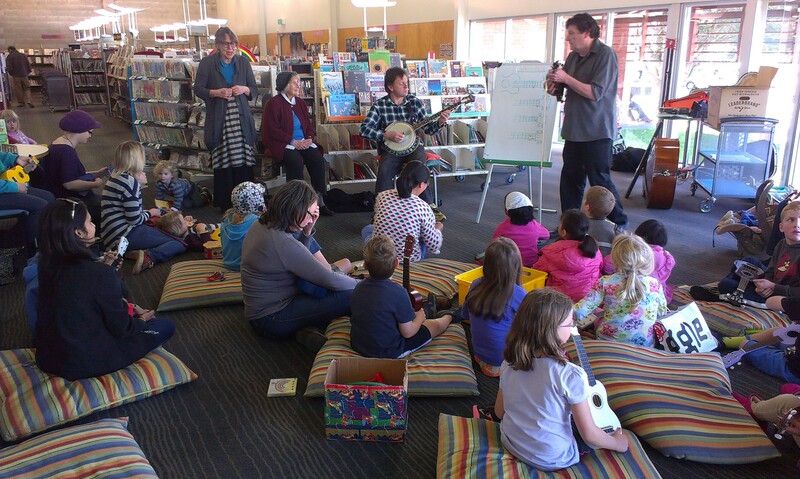 Hey guys – make sure you come along to Tawa Library on Wednesday 24th July at 2pm for our great Matariki school holiday programme. 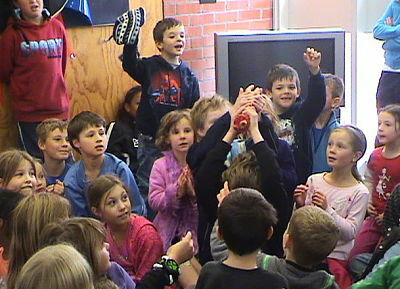 We are going to hear some awesome Maori stories and enjoy lots of games and activities. Make a poi or a porotiti – do you know what that is? Well come along and find out. We will learn how to play stick games and we will also have a fishing game with a difference. 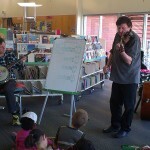 During the school holidays Tawa library had a visit from a very ancient creature. 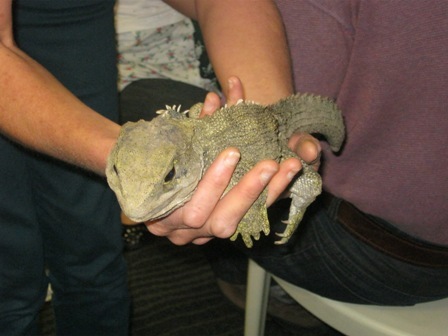 Spike the tuatara came to visit the library and all the children and even the parents were lucky enough to touch this amazing animal. 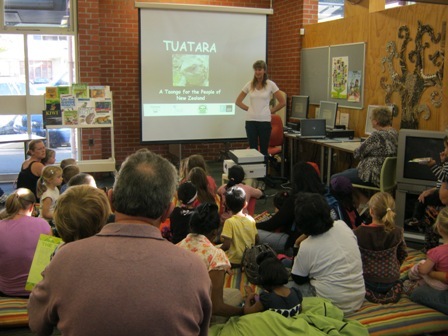 Sue Keall from Victoria University did a wonderful talk on the the life cycle of the tuatara and talked about how we can help save this incredible animal. 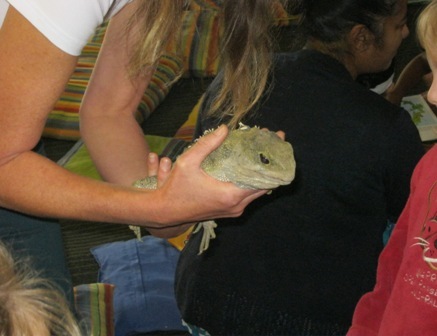 She then brought Spike out of his box and took him around so everyone could see him up close and touch his very soft skin. 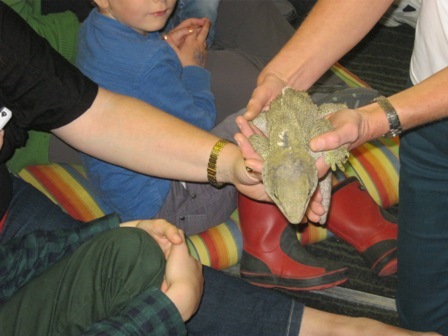 Spike was a champion – although he did get a bit wiggly at times. We loved having him visit. 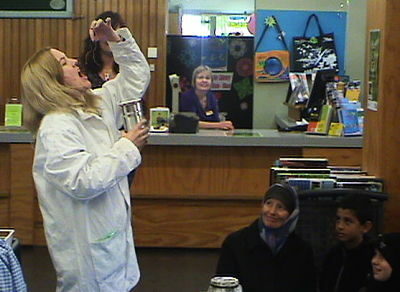 Tawa Bookseekers’ end of year graduation! 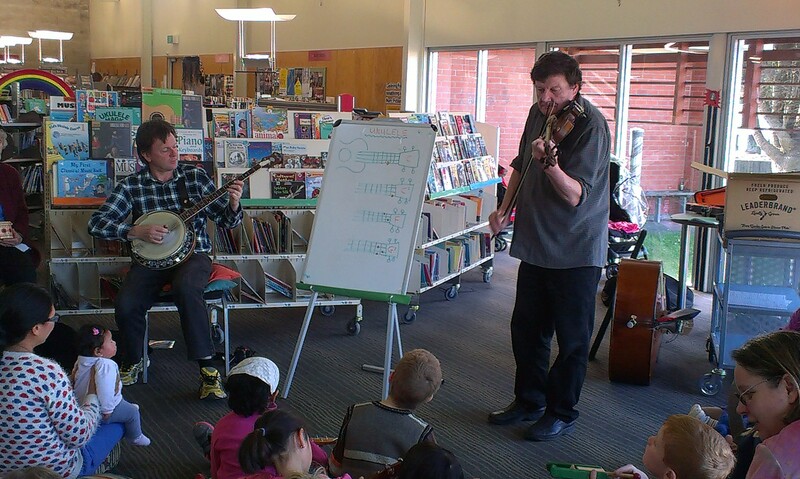 We had loads of fun talking about books and playing games. There was balloon volleyball, a race to blow ping-pong balls across the floor using enormous straws, and guessing which character from a fairytale you had on your head. 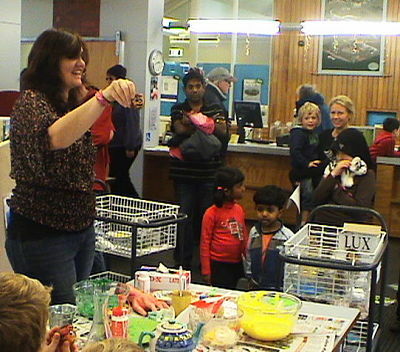 Then there was food and drink, and mystery prizes to celebrate the end of the year. 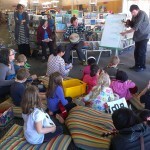 Mervyn Kemp (Tawa) Library are hosting a special te reo Maori storytelling session this week! Perfect for 2-6 year olds and their caregivers. 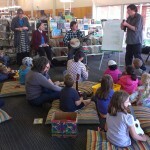 Come along to listen to actor and storyteller Toa Waaka weave stories and legends in Maori and English. 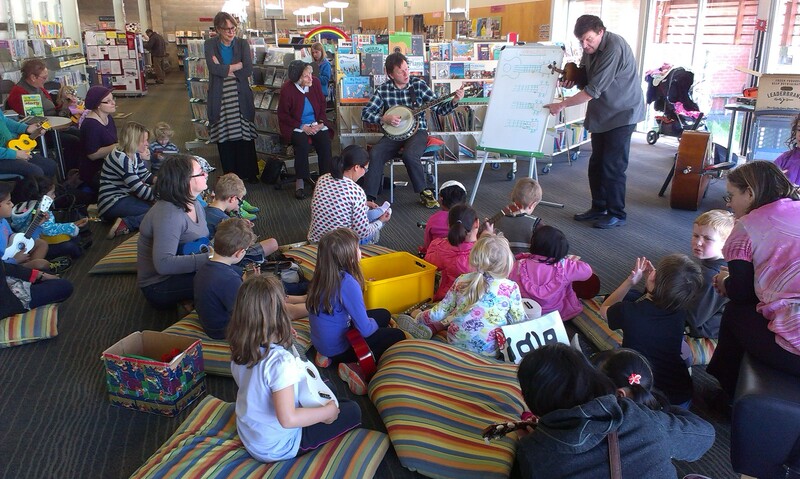 A perfect opportunity to learn and experience te reo Maori through stories – all are welcome! 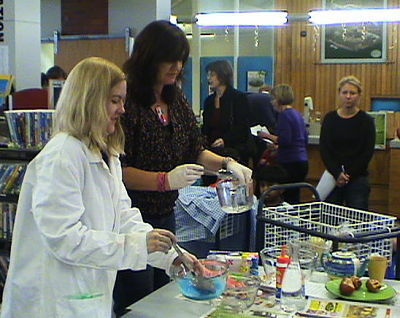 Tawa Library, Wednesday 17th November 2010, 10.30-11.15am, Free!